response from property - Apr 06, 2018 We have enjoyed having you! We love it submitted by Derrick W. - Dec 01, 2017 |Recommended: YesComing from a house in the country was a huge adjustment but so far this is a great place to live Tara and Lisa are always friendly and pleasant to work with. They have great community events involvement for the complex. The maintenance request have been handled in a timely fashion. It's very peaceful and quite even with all the kids, mine included all the surrounding tenants all are very nice and pleasant. It's so convenient to EVERYTHING We couldn't be happier. We have no real complaints. If we had to pick one it would be you only have one assigned parking place so if you have a household with more than one car or have guest over you have to find a visitors spot which may require you to walk a ways. response from property - Dec 04, 2017 Thank you for the kinds words!!! VERY PLEASED.submitted by Lydia H. - Nov 03, 2017 |Recommended: YesVERY COMFORTABLE AND SAFE. 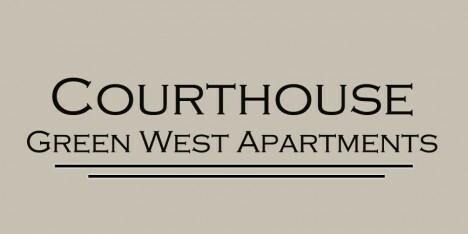 Courthouse Green West Reviewsubmitted by Patrick P. - Sep 26, 2017 |Recommended: YesWe love living here The office staff are amazing and on top of everything. The townhome is spacious and affordable for new graduates. We love our neighbors and the the area is quiet, safe and well looked after. Very friendly staff submitted by MIRTHA B. - Jul 13, 2017 |Recommended: YesVery comfortable and great location. Great place to live with a great price. submitted by Michelle W. - Mar 31, 2016 |Recommended: YesI love the area. A lot of my appliances are on its last leg and so are my doors but I decorate around it and try not to let it get to me. I knew it was the case when I moved in. It keeps the cost low and I can do more things with my family. Everyone is courteous. Everyone in my household gets a birthday card. Its the little things that make this home.